1. Arthritis: Research shows that acupuncture is effective in treating rheumatoid arthritis and osteoarthritis. A study conducted in China revealed that traditional acupuncture and electro-acupuncture both decreased the tenderness associated with arthritis. A German study followed individuals who received 15 acupuncture sessions for osteoarthritis in the knee. When combined with their regular medical care, most participants experienced a decrease in discomfort and stiffness, improved mobility, and an enhanced quality of life, as compared to those who underwent regular medical care alone. 2. Depression: Acupuncture can serve as a complementary treatment along with Western medical methods. Or it can replace medication altogether. However, do not abruptly stop taking medication without speaking to your physician. 4. Allergic Rhinitis: Typically referred to as allergies or hay fever, allergic rhinitis is when the nasal passages become inflamed after inhaling an allergen. A study published in the American Journal of Epidemiology studied 5,237 people with allergic rhinitis. One group received their typical medical care along with acupuncture for three months, while the other group only received routine care. Subjects in the acupuncture group experienced a significant improvement in symptoms and a better quality of life. At the three-month and six-month follow-ups the benefits were still evident. 5. 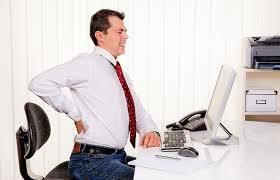 Low Back Pain: Surgery, steroid injections, and chiropractic adjustments can be put on hold. Acupuncture can provide long-lasting relief for low back pain, regardless of the cause. A team of researchers at the University of Maryland analyzed a number of studies that focused on acupuncture for low back pain. They found that acupuncture was more successful in treating the pain than standard care. The participants experienced “significant” long-term relief.